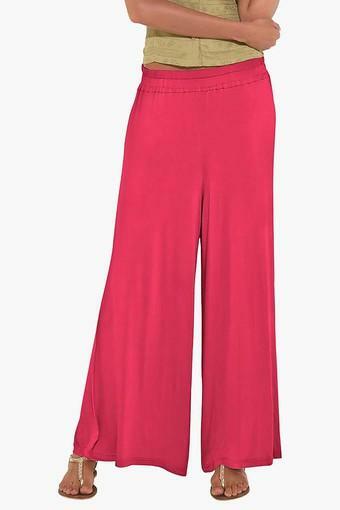 If you believe simplicity is sophistication, check out this fashionable pair of palazzo pants from the house of Go Colors. 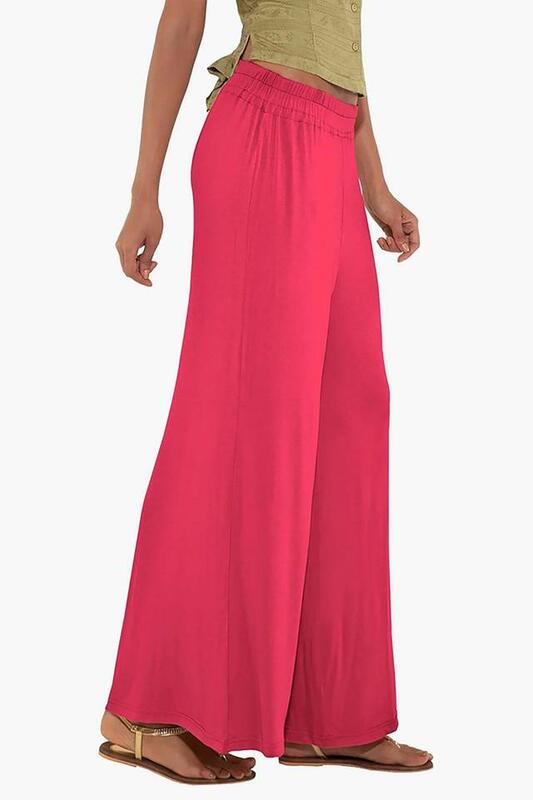 It is tailored with viscose which promises to keep it soft against the skin. Besides, it features a solid pattern that makes it even more fashionable. 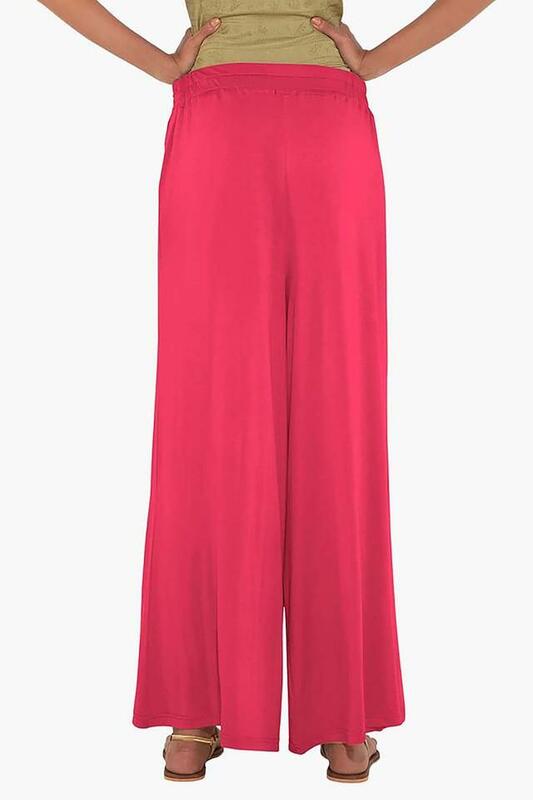 Get this well designed pair of palazzo pants to flaunt some serious styling. It can be clubbed with a top in a contrasting shade and a pair of sandals for a complete casual look.